On Friday, 9.2.18 you are invited to a celebration of flavors and aromas from the Judean Hills in the food market on behalf of Slow Food. 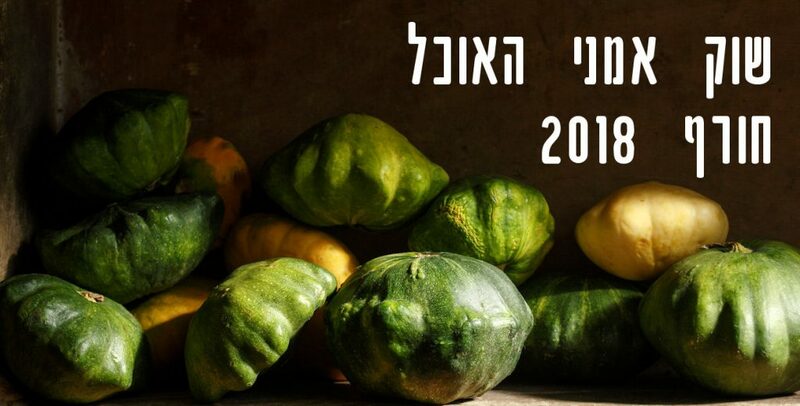 In the market there will be street food stalls from Louisa catering, and stalls of the best manufacturers and growers in our region; Coffee shop, Har Adar winery, Beer brewery, Barakanit cheese, Olive oil from the Tirosh interface, Shula bread, Honey Netaf, Silan Dates, Quarry, Hamutal and Tomer apple cider, Rasti’s spreads and more . At the event you will be able to purchase quality and local food products directly from the consumers, and you will also be able to hear about the production process and the uniqueness of the products. “Slow Food” – a global movement that promotes the preservation of culinary culture and widespread use of plant food, seeds, livestock and traditional gardening for the local habitat. The movement brings together local manufacturers and small farms that produce good food, clean and fair trade, often using traditional methods.